17 year-old Blake Baer and 18 year-old Jack Bittner have built an incredibly-detailed recreation of Erebor, the home of Tolkien's dwarves in The Hobbit. 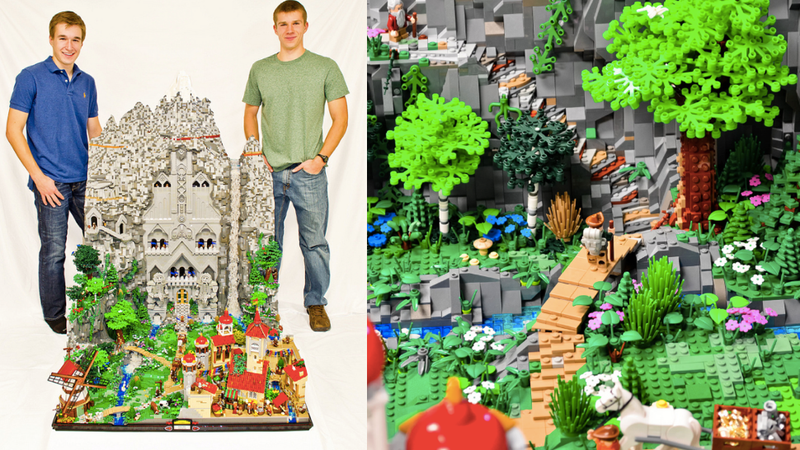 Using nearly 80,000 bricks and taking around 400 hours to build, this Lego kingdom is simply mind-blowing. It's 200-lbs and 56" of awesomeness. Just like a dwarf! Erebor was home of the Longbeards, a clan of Dwarves, and was known as the Kingdom Under the Mountain. It's where the Arkenstone was discovered and subsequently lost when the dragon Smaug seized the mountain. Without giving away any spoilers the Arkenstone, much like the one true ring, will soon find its way into the most unlikeliest of hands… But, for now, feast your eyes on this insanely cool Lego build, and see if you can spot Bilbo and Thorin.